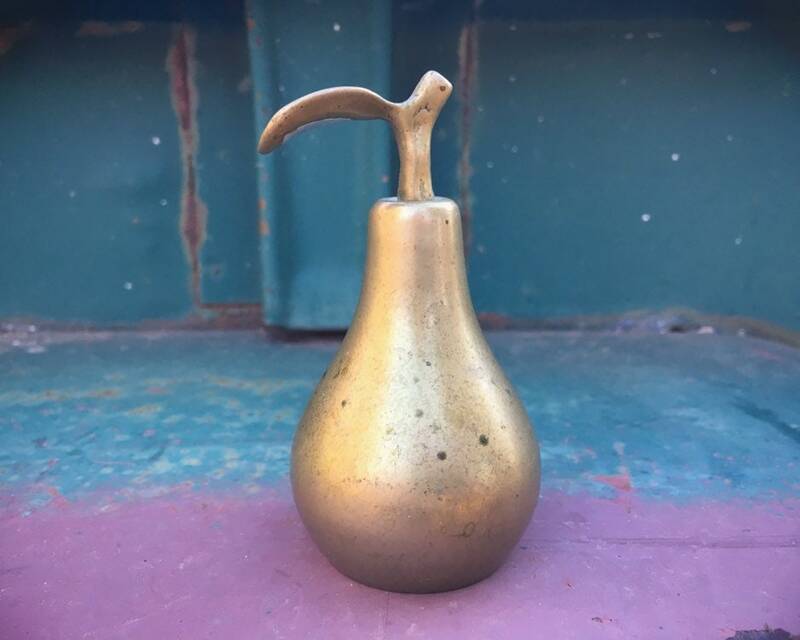 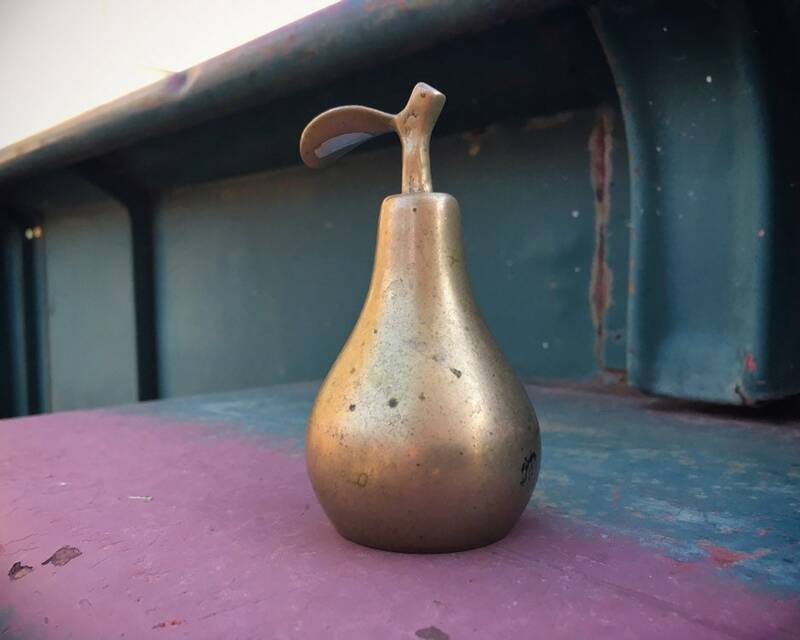 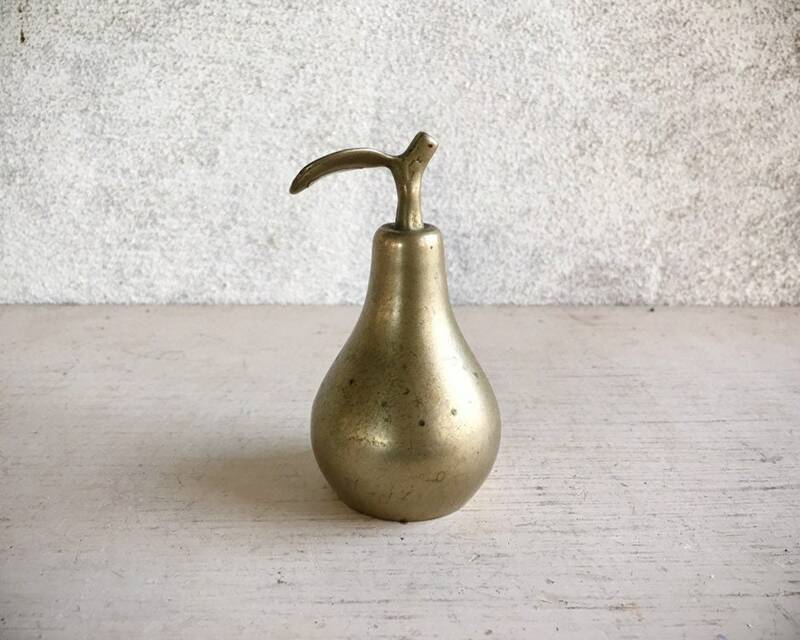 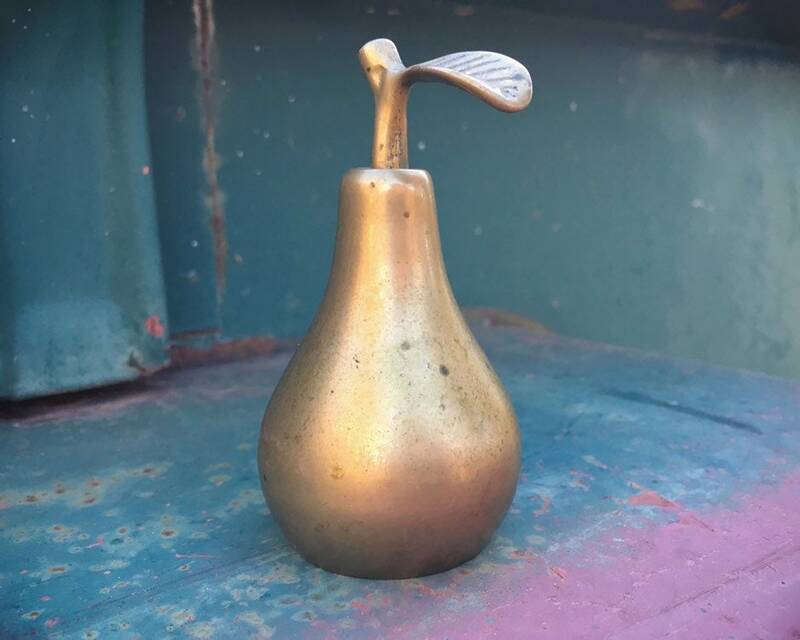 Fun vintage brass bell shaped like a pear, perfect for the person who likes a sweet and elegant way to round up others, whether a classroom or dinner guests or just to make noise! 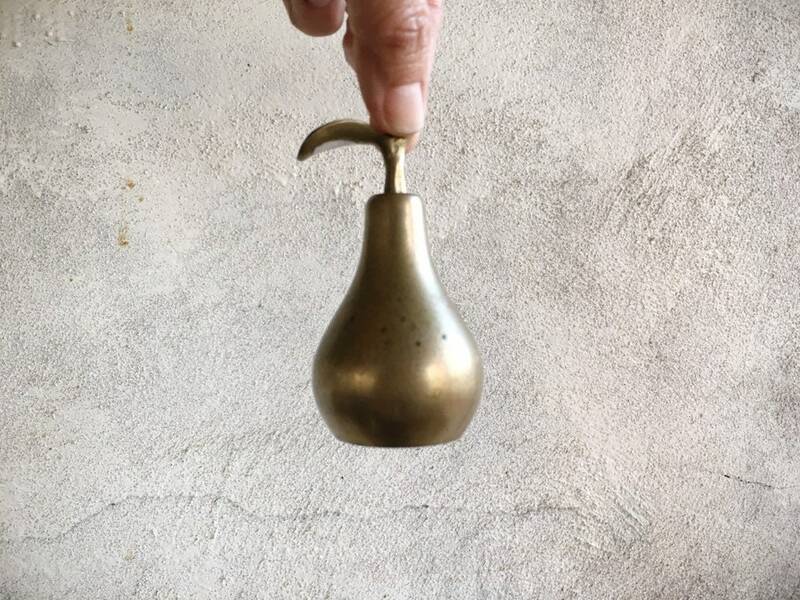 And elegant enough to use as a toasting bell at an event such as a wedding or retirement party or major anniversary. 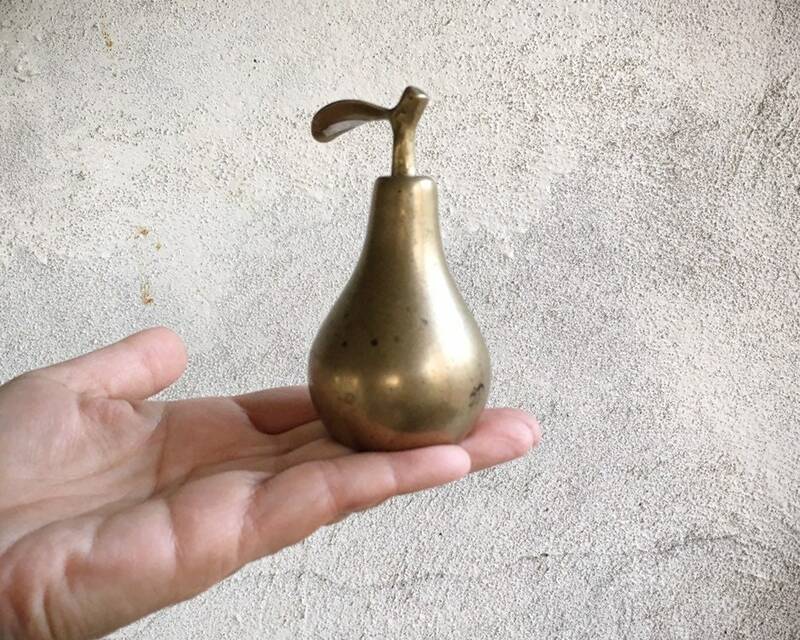 And the great part of it is, it's so practical you can use it over and over. 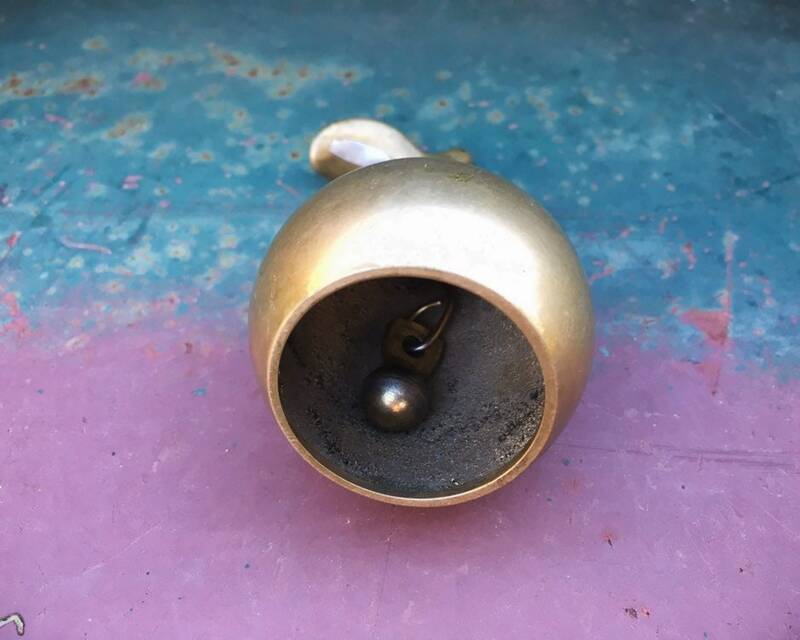 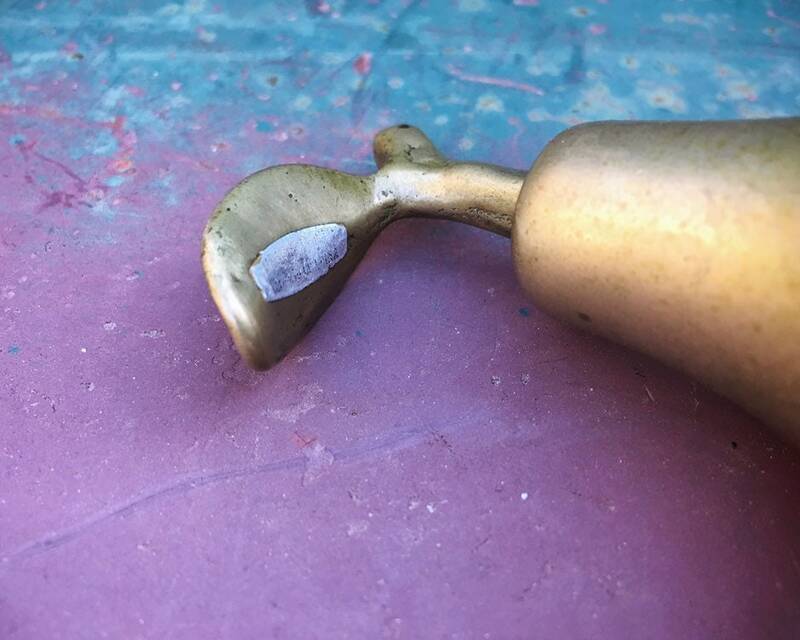 This bell with handle measures about 3-3/4" tall by about 2" in diameter. 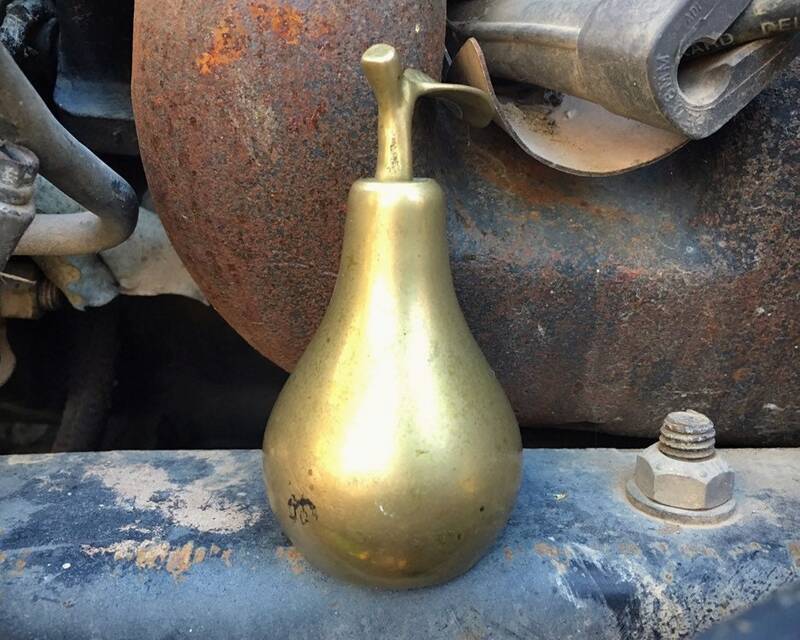 Let me know if you'd like me to polish the brass before shipping. 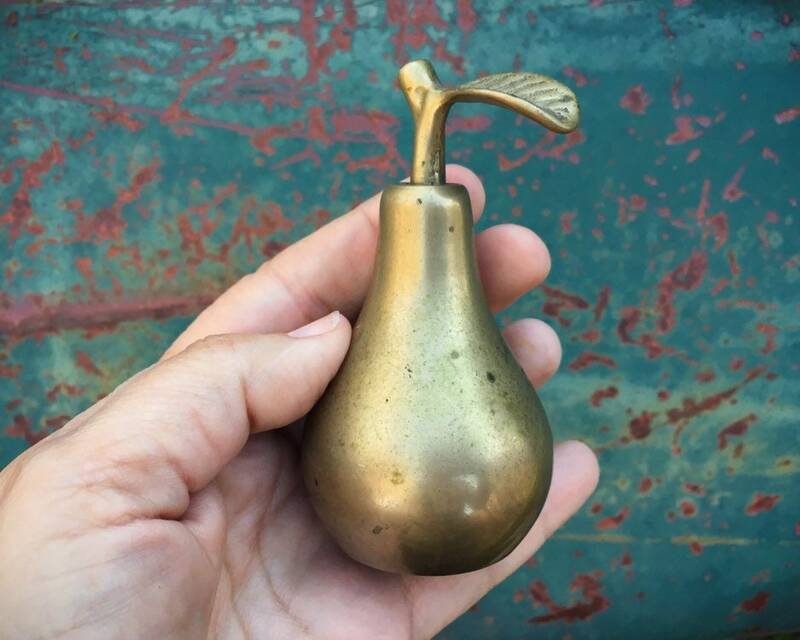 Looks older with the patina as is, but perhaps you'd prefer a shine.